A little girl's life has been saved by Providence from the hands of a suspected kidnapper who tried to abduct her allegedly for money ritual. If not for observant residents, he would have succeeded. 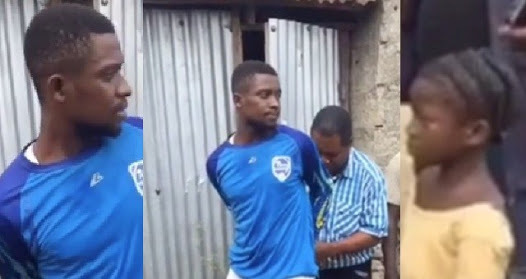 It was gathered that the yet-to-be identified man was apprehended at palm grooves, Port Harcourt, Rivers State, on Monday, while he was trying to take the little girl away. After being interrogated, the suspect confessed that he was asked by one ‘baba’ to bring a little girl supposedly for ritual purpose. He has since been handed over to the Police.